There is limited availability of season guest tickets for the East Stoke fishery. 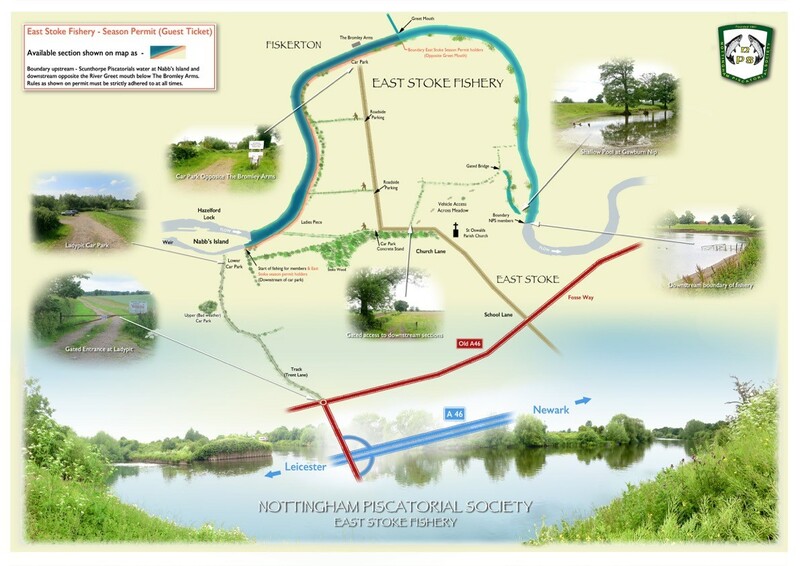 This fishery is a prime stretch of the river Trent, about ¾ of a mile long, and is particularly noted for barbel, chub, pike and roach, as well as other species such as river carp and dace. The Society maintains high standards and guest tickets will need to abide by Society rules while on the fishery. The most important rules are listed below, but you should note that there is no night fishing ‐ for fishing times click here. The cost of a season guest ticket is £50. Access details will be made available to successful applicants. Please note that guest ticket holders are not members of the Society and have none of the rights of members. A map of the water can be viewed HERE.